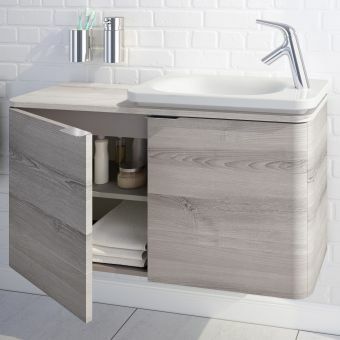 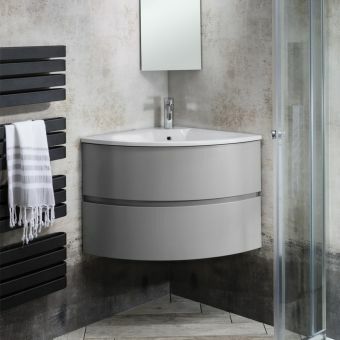 Bauhaus have scored again with this capacious addition to the Svelte range of bathroom vanity storage units. 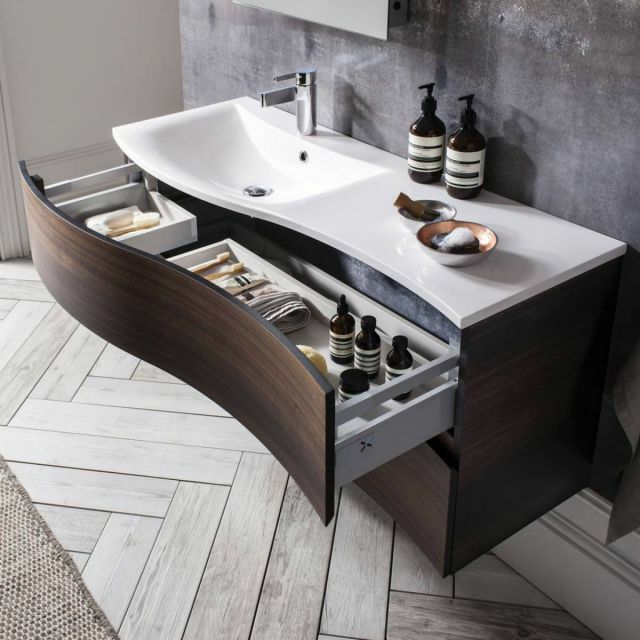 The outward curving drawers belie its internal capacity allowing much most of your bathroom clutter to be neatly hidden away. 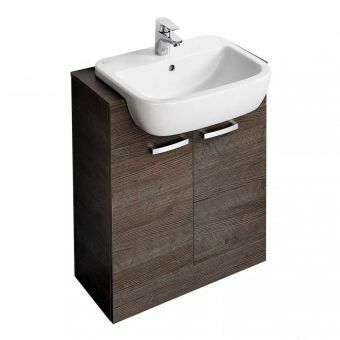 With four sizes ranging from a neat 600mm through 800 and 1000mm right up to the largest 1200mm width, these versatile units feature the latest in captivating, showpiece colours. 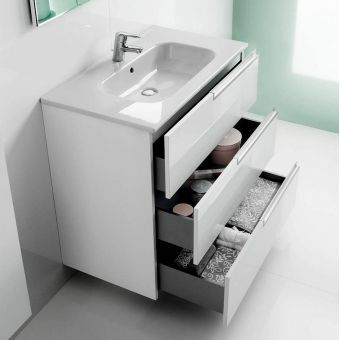 The luxury of soft closing drawers with mechanisms from German manufacturer Blum, underline Bauhaus's commitment to excellence in design and with a wave -fronted 1200mm unit, the gracefully contoured drawers could not be better placed to astound visitors to your home. 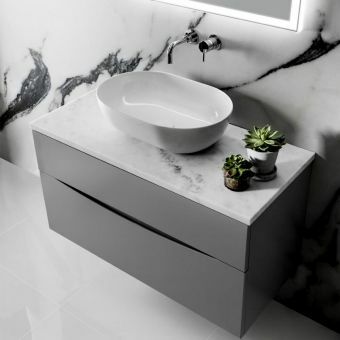 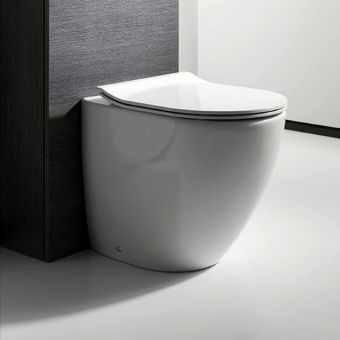 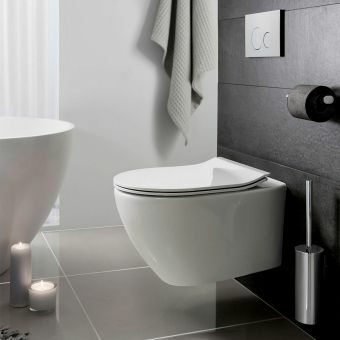 The basins are made from mineral marble maximising their appeal with their use of anti-bacterial coatings laying waste to over 99% of harmful bacteria without you having to lift a finger. The exotic woods that cover the drawers have been chosen the compliment any interior and an upper drawer, wrap-around fittings give you crucial extra storage which is lost on most vanity units. 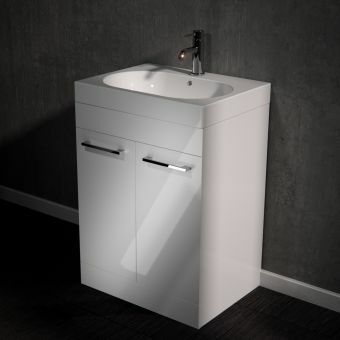 Charcoal glass and Ice White glass basins can also be ordered. 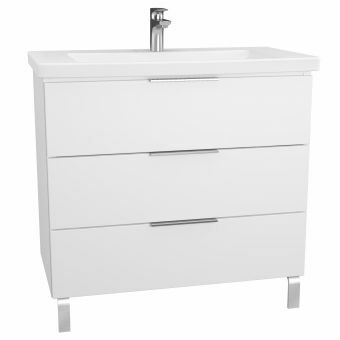 Note: Special order - please call for details and prices.